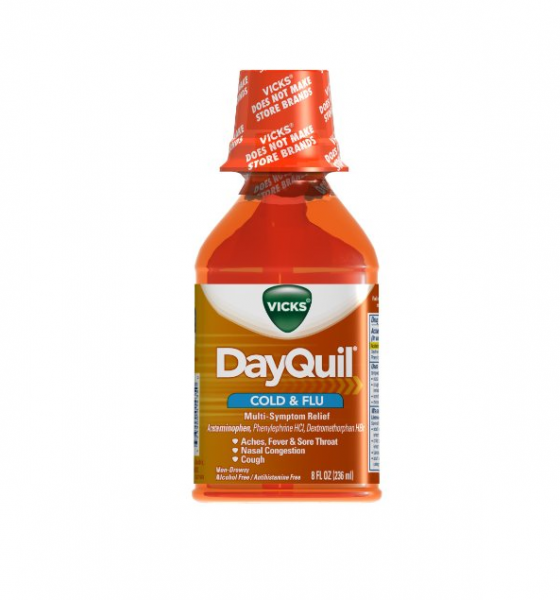 Power through your day with the non-drowsy, multi-symptom cold and flu relief of Vicks DayQuil Liquid. 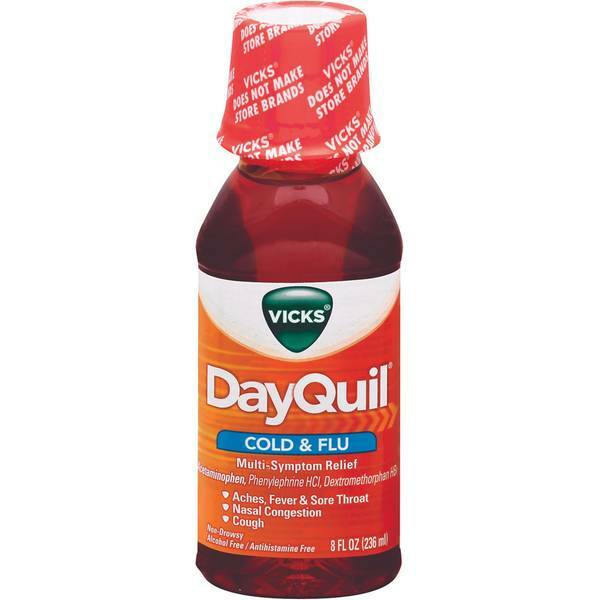 Temporarily relives common cold and flu symptoms including nasal congestion, cough due to minor throat and bronchial irritation, sore throat, headache, minor aches and pains and fever. Non-Drowsy.